Cow Green reservoir is a two mile long reservoir, which was built in 1971. Despite the construction, a lot of local flora and fauna has managed to survive and the surrounding area is still rich with rare alpine plants, like the local Teesdale violet. The area is not swamped with hikers either, as sheep will likely be your companion for most of a trip around this location. This trail is easily accessible and has couple of historical towns nearby too, like Langdon Beck, which can add that extra attraction to your visit as well as provide an overnight shelter. When it comes to the trail itself, rest assured there are separate parking and public toilets facilities available. Moreover, the trail includes a couple of old mine locations, which add an extra feel of adventure and curiosity. This public trail in North Pennines also offers a range of activities, ranging from scenic and bird watching walks to more challenging rocky areas. The latter boast the chance to view rare rock formations of sugar limestone and the Great Whin Sill. When it comes to choosing a route, the main trail follows along the two mile stretch of the reservoir, then turns towards the dam. Although the passage way across the dam is closed, there is a path to climb down nearby to acknowledge the dam water stream from a closer angle. Following the path brings about numerous stop spots too, which demonstrate all of the rare flora and fauna, as well as rare landscape formations. The trail also includes a considerable amount of dolerite cliffs, though bear in mind these will require some skill to climb up and down. A particular highlight of taking up the challenge though is the opportunity to admire the Cronkley Scar cliff, which stretches for almost a mile and can be a fascinating trail on its own. Nonetheless, all of the intermediate routes in North Pennines include at least one high flow waterfall, with one of the most popular ones being Cauldron Snout with its rock-based, slippery steps down. To avoid injuries here, appropriate footwear is key. Therefore, we recommend you acquire some quality hiking boots for such landscapes from the likes of SOLETRADER or Brantano ahead of your trek. Also take note that the area is high above sea level (approximately 1,650 feet), so sudden weather changes should be expected. These are just a couple of recommended routes though; in all the Cow Green Reservoir trail has numerous length options ranging from 5 miles to 12 miles and more. Whichever route you take, rest assured you will be on track to explore so many of the fascinating areas that the North Pennines has to offer. 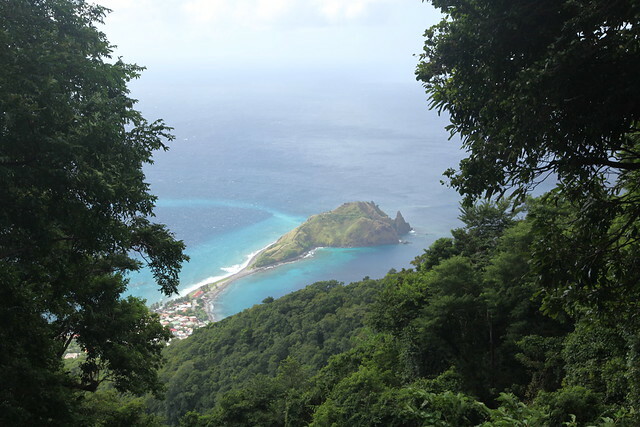 Although the Caribbean is probably mostly associated with white stretches of soft sandy beaches lapped at by blue waters, that is not all there is to experience; there are many superb places in the region where you can go trekking. 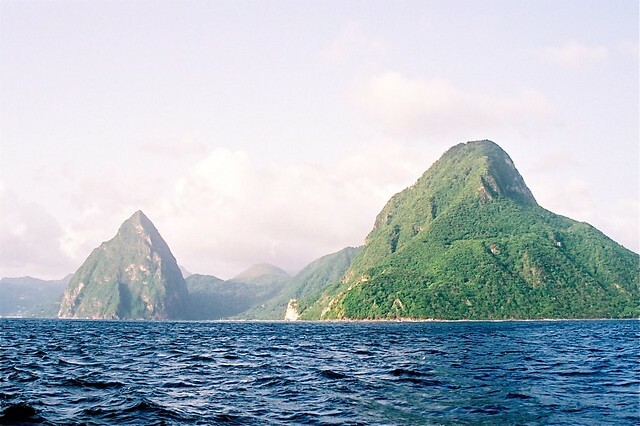 Many tourists when coming to the Caribbean take to the water to discover the wonders below the surface, but if you take the time to go hiking, you will be able to explore the lush and tropical interiors of these islands. Hiking in this tropical location is becoming increasingly popular, and as a result more trails and officially marked pathways are being developed by the authorities on many islands. So, if you’re planning for the Caribbean cheap holidays include this on your holiday itinerary for a healthier fun and more exciting traveling experience. Here are some pointers on where to go if you want to take in some of the spectacular hiking in this area. Images by Liam Quinn used under the Creative Commons license. Hikers can experience all sorts of different walks on the islands. Coastal walks can seem simple enough with little more than beaches and coves to negotiate, but some areas can be quite hilly and have large cliffs. Furthermore, trails often run through forested areas so well is essential – think hiking boots for men and women, rather than sandals or flip-flops. Although some sections of pathway will follow the old roads that used to lead out to the old colonial plantations, many are trickier to navigate on because they can be somewhat overgrown. It’s also worth noting that each Caribbean government has different laws about hiking trails. Make sure you stick to the designated trails and don’t stray onto private land. Images by Patrick Nouhailler used under the Creative Commons license. There is a challenging 10,000 feet trail that leads to the peak of Pico Duarte, but the views that reward you at the top are magnificent. Usually completed over a couple of days, it is best undertaken as part of a team. Park rangers are often available to help hikers find their way when trekking up the mountain. Hikers can take part in guided treks in this wonderful park, full of fascinating birdlife. Walking around Grand Etang Lake is a pleasant walk which does not need a vast amount of trekking experience. However, if you’re looking for something tougher, take the trail up to Mount Qua Qua you’ll find it much more challenging. With an ascent of over 3,232 feet, Nevis Peak is one of the most attractive triangular-shaped volcanoes in the world. It takes about three hours to reach the summit, depending on how hot it is, but some sections of the trail require you to negotiate extremely steep sections which will require more scrambling than trekking. This mountain trek takes the average hiker about four hours to ascend and descend in a circular trail. There are guided tours, but the pathways are not too difficult to navigate. However, if you suffer from a bit of vertigo, be warned, there are some dizzying heights and sharp slopes on some of these trails. With a number of trails that cut through rainforest, Trinidad’s hiking area affords walkers with some spectacular scenery and access to the exotic wildlife on the island. Among the highlights are the wonderful hummingbirds. These colorful birds are best spotted by hiking deep into the rainforest of the nature centre. There we go, our list of excellent hikes for the keen walkers; lying the beach and soaking in those rays will feel better earned after a trek, Caribbean Islands awaits for you. As one of the highest freestanding mountains in the world, the Mount Kilimanjaro is hailed to be one of the most visited mountains by mountaineers and trekkers from the different parts of the globe. The beautiful landscape of the mountain sits on the north eastern part of Tanzania and it fosters three volcanoes namely the Kibo, Mawenzi and Shira. Many aspire to be able to climb Africa’s highest peak which is seated at the heart of the Kilimanjaro National Park. If you plan traveling in Tanzania to climb the Kilimanjaro Mountain, here are some of the considerations that can help you enjoy your mountain climbing adventure stress free. The best months to climb Mount Kilimanjaro are January, February and September where the temperature tends to be warm or moderate. The coolest months in the mountain are June and July while the wettest are April and May. Considering the climate when planning for your visit is significant as it can affect the risks involved when climbing the mountain. However, the temperature may vary throughout the climb as the altitude changes. Owing to its proximity in the equator and for its height, Mount Kilimanjaro is known to create its own weather that may change unpredictably. This is the reason why travelers are advised to be prepared for both the wet weather during the day and the coldness at night. Some climbers prefer taking with them their own mountain climbing gears but to some who travel a long way to reach Tanzania renting equipment seems to be a good option. Travelers will likely spend for the equipment between $500 to a thousand dollars exclusive of the fees you need to shell out for your sleeping bags, clothing accessories and other travel kits. Prior to entering Tanzania, visitors are mandated to receive the Yellow Fever jab for their safety and protection. This is because Tanzania is prone to the malaria disease. This will generally costs you $100 to $200 for the jab. If you want to ensure the safety of your health, Hep A vaccines are likewise available. Travelers should avoid bringing their children who are 10 years old and younger. If you want to take them they should not be allowed to hike more than 300 meters. Rarely are travelers allowed to climb the mountain without the company of a licensed travel guide. There are many tour operators that can help arrange your adventure Voyage Kilimanjaro. They can help make your travel experience more meaningful as you get to hike with less stress and concerns because your tour guide will make all the necessary arrangements needed for your trip. Call the different travel guide services early to book your flight and to give you the ample time to compare their travel package, services, accommodation and fees. The majority of travelers climb the summit to watch the stunning effects on the glaciers of the mountain peak by the full moon. It is during this time that mountain trekkers flock the summit. You should avoid this activity if you don’t like a crowded climb. Entering Colorado from the east during the middle of the summer puts you in desert like conditions. We drove through 105-degree heat as we headed towards the mountains, giving our car a difficult time with overheating. As we started up the mountains, we could feel the temperature beginning to drop. We stopped for the night in Steamboat Spring, and had three inches of snow on the top of our tent in the morning. After suffering through several hours of high heat, the 27-degree temperature seemed even more bitter than it actually was. We continued up the interstate until we reached the Great Continental Divide. What a beautiful view it was! On one side, you see miles and miles of Colorado stretched out before you, and the other side provides a view of both Colorado and Utah. We double checked our gear, and slipped our day-packs on and began to venture off. The high altitude proved to provide a little more difficulty breathing than we expected. Even as a conditioned hiker, we found our pace dramatically reduced so that we could keep our breath. The scene around us was profound at times. From time to time, the thick forest would open up and give majestic views of our great nation. To say it was impressive really does not describe it, and they all were excellent photographic opportunities. The higher elevations had the trees and ground covered in the snow from over night, while the lower elevations were a deep rich green. The trail was very rugged, and proved to be very challenging and slippery with the freshly fallen snow. Not only did you encounter steep grades, but large rocky areas that presented some of their own challenges. The smell coming from the tall trees was the wonderful pine scent, and reminded me for a moment of my grandmother who cleaned everything with Pine-Sol. We encountered many different forms of wildlife as we ventured quietly along the trail. We found several different varieties of frogs and toad, and saw a wide variety of birds. There were several different types of woodpeckers, finches, and swallows. We were lucky enough to be able to catch a couple different varieties of hawks on camera, but were sadly disappointed to have not been able to spot a Bald Eagle. We photographed a few Mule Deer, and some White Tail deer. We heard the roar of warning from a Mountain Lion in the distance, but were unable to locate it for a couple pictures. We also saw many squirrel, a few rabbit, and we were able to avoid a run-in with a skunk thanks to its pungent odor. In all, the trip was wonderful. With the beautiful scenery, and the many different animals, it provided an exciting adventure with many photo opportunities. Because of the thin air of the high altitude and the rugged terrain, it is not an adventure for everyone. However, if you are in reasonable shape, and willing to take your time to move slowly and carefully, the Great Continental Divide provides an excellent opportunity for a day adventure. Shi Shi Beach is a great place to go trekking. Shi Shi beach is found is on the Olympic Peninsula in Washington. To get, there driving from Port Angeles you drive 5 miles west on the US-101 then turn west again going towards Neah Bay which is 64- mile trip on the SR-112. When you are at Bayview Ave turn left on Fort St and take a right on Third Street. From there you will take a left on Cape Flattery Road while driving 2.5 miles then another left on Hobuk Road. There are signs of a fish hatchery that will you will drive past going to the trail head. Shi Shi beach has a beautiful beach with coastal rainforest, old growth grove and unique flora and fauna. When you are at the beach you will get to see the landscape covered with mountains that making it look like a magical place to be. It offers a great place to trek on. Trekking at the beach is very easy and anyone can do it. The elevation is gradual and it only takes a day to cover the 8 miles of the trail. Depending on your speed you can either cover the distance in a short period of time or leisurely walk through the wilderness trail. The trail will take you through the dense and ancient rainforest where the Makah’s live. Through the trek you will have a chance to see whales in the ocean and a couple of sea birds flying overhead. After going through the trek and appreciating nature you can look forward to go to the camping area in the park. My best experience on the park was in the evening when we knew we were going to do some overnight backpacking. Like many other visitors who are out there I was longing to take my best sun set picture to commemorate my time at Shi Shi Beach. Although I had carried all my backpacking equipment with me I was pleased to find out that there sleeping bags that you can rent from the Olympic National Park and they are very affordable. Being a bargain hunter that was good news to me. At the backpacking site there were close to 100 other visitors who had come like me to enjoy nature and to have a little fun while they were there. I was told that the place becomes very popular especially in summer where the park gets as many as 250 campers in a single day. You have never experienced true beauty of nature, tranquility and adventure if you have not paid a visit to the Yoshida Trail in Japan. The Yoshida Trail is up the side of Mount Fuji, which is known to be the highest in Japan. Me with a couple of my friends were traveling through Japan and decided to give it a try. People said this mountain is not for the unskilled, well let me just add the amazing beauty and the thrill of the climb is priceless! We were astounded went we got off at the Fuji Subaru Line 5th Station. We were met with the most spectacular view of the Fuji Five Lakes as we stood on the platform at 2300 meters above sea level. The station is lined with shops of every kind and restaurants to pick and choose from. We sat down and had the most filling meal, then we stocked up on snacks, oxygen and bottled water, as someone forgot to pack all our supplies. But, we were saved by the friendly people at all the shops. Before we embarked on our great expedition/adventure we popped around to the back of the station to have a look at the Komitake Shrine. I must say it is breath taking. Then we ascended along with a large group of tourists and other hikers from all corners of the world. As we climbed the wind cooled down and filled the air with a chilling breeze. We stopped at one of the huts, I suspect about a half way up and with two and a half hours behind us. Our feet were throbbing. The hut was cozy and we had to pay a fee for resting there, but it was worth it. We sat looking down the way we came and at all of Japan that lay below us, that sense of exquisiteness that fills you cannot be described in any way at all. I will definitely hike the Yoshida Trail up Mount Fuji in Japan again and recommend it to all that seek adventure. There are also a couple of other trails such as the Gotemba Trail, the Ochudo Trail and going to see Hoeizan’s Crater. Each of these hold their own beauty and offer climbers with varying skills a lifetime adventure. But for the more prominent hiker such as us, there is little in this world that can compare to the Yoshida Trail up Mount Fuji in Japan. Mount Everest has captured the imaginations of intrepid explorers from as far back as 1920. Historically certified legends such as Tenzing Norgay, Sir Edmund Hillary, and George Mallory put their stamp of approval on the mount and since then, millions have followed in their stead, enduring monumental obstacles, and even putting their own personal safety at risk just to try to reach the top. In more recent times, while reaching the summit is still out of reach for many, getting to base camp is an ample substitute for those who simply want to get a good view of the top without actually having to go there. The view from base camp is quite breathtaking, but there are numerous other things that tourists can occupy themselves with. Numerous museums and monasteries lead the way to the base. There are also quite moving examples of fascinating cultural experiences to be had which coupled with the natural beauty of the place is quite a heady tonic that fills one with memories that last a life time. The best time to head to the base camp would be between the months of March and May and between September and December. The reason behind this is that the monsoon hits just after May and heavy rain may put a damper on anyone’s vacation. The temperatures are rather low in December but if one is willing to brace themselves against the cold their reward is that the beauty is still there to enjoy. This is in addition to the fact that there are relatively fewer people around giving the impression that one has the place to themselves. It’s possible to go it alone but having a guide can maximize the experience. Using a guide company also has the added advantage of having everything arranged from a solitary source and they might even think of things you may have forgotten. You can save a lot by booking a company at the base rather than having your local tour company arrange everything for you. Getting to base camp is really not for the faint hearted and you need to get in shape to stand a chance against the place. Having said this, there really isn’t anything that can prepare you for the extreme altitude and hills but don’t let this put you off. If anything, you can go at your own pace and leisure. Pack very lightly and ensure that your overall luggage doesn’t weigh more than 15 kgs. Do not forget the thermal underwear and fleece jacket, as the temperatures are rather low once you get past 3000 meters. Consider also packing polarized sunglasses, sunhat, woolen hat, gloves, and a raincoat in addition to your clothes. I have been involved in trekking before, but this one in the GR20 is a memorable one. This trekking becomes memorable to me because of the great experience am getting here. I had never experienced a lot new things before making the trekking completely interesting. GR20, France is a 15-day hiking activity, which I am enjoying as I trek in all the 168 Kilometers. The most interesting thing about this long distance trail is that it gives diversity since there are different landscapes that are available here making the whole process great and interesting too. In addition, I have realized that the landscape where the trail traverses make it beautiful and gorgeous. Not only so, the varying landscapes along the trail makes the trekking exercise interesting and lively. Moreover, the trek has forests, granite moonscapes, and windswept craters. These make the trek look great. Having the sight of the whole trail, it is looking attractive and I am encouraged to continue with the trekking. In addition, there are bogs, maquis and snow-capped peaks. There are also plains and névés with snow making the whole trek long great from far. Besides the whole exercise being enjoyable, several hardships and challenges come along with it. The challenges that I am experiencing as I walk this 104mi trek is that there are rocks along the path. This is making it hard for me to walk faster since it tiring to walk all through on these rocks. After reaching to some place, the path sometimes becomes steep. with sharp rock faces seen. However, despite these challenges on the part of the path, the whole hiking is fun and interesting. The hardships experience during trekking gives pride and a satisfaction once am through to the end of the trail. Besides having great experience in trekking, one sees the beauty of the place. What I learnt about GR20 is that it was created in 1972. In addition, there are many travel agencies that offer their transport services to these location. This has made it easier for me to access the place since there is a great transport system to the place. During the trekking, I get extremely hungry. Thanks to the refuges that are here and are selling food and water. The refuge is the only place where you can buy some snacks or water to drink when walking on the trail. After being in the scorching sun for some time, the water bought from the refuge helps a lot in quenching the thirst. Some people travel to get to the destination, while others just enjoy the journey itself. The amazing Inca trails satisfies both of the preferences. It is one of the most acclaimed and adventurous treks of South America with subtropical jungle terrains, lush green forests, inspiring mix of Inca stones and long dark tunnels. The final destination of Machu Picchu makes the trek worth all the efforts. Brief History : The history of the mighty Inca trails is always associated with the Machu Picchu. A long run of 40,000 kms is stretched over the Incas which makes it the most difficult trails in South America. These corners of the trails are the connecting dots between the colossal empire which stretch between Ecuador and Argentina. Historians believe the trail is a sacred pathway to the Machu Picchu. Inca Trail Highlights : Sacred Valley of Ollantaytambo :The journey begins in the sacred valley which runs through a numerous ancient ruins along with small villages. The trail ends in the ancient city of Ollantaytambo which is famous for its palaces and the trekkers are offered breakfast here. the trail. It is a marble and stone paved path with lush green forests which are sure to take your breath away. Dead Woman’s Pass : The name might sound a bit creepy and scary, but the dead woman’s pass is a beautiful trail which include a wide variety of flowering plants. It resembles a dead woman and is considered to be the most challenging part of he whole journey. It is also the highest point of the trek. Runkuracay : It was discovered in the year 1915 and is considered the most beautiful stop of the trek. It was a fort which was later converted into a resting point for all the trekkers. It has a special place reserved for endangered animals and plant species. The Sun Gate : The Sun Gate marks the ending point of the amazing and adventurous Inca trail. It is also called Intipunku which signifies that the visitor has reached the sacred point of Machu Picchu. It includes two stones which are perched parallel on a narrow passage to form the gate of the Sun. The trekkers can see the sun rising through the portal early in the morning which in itself is a mesmerizing view.